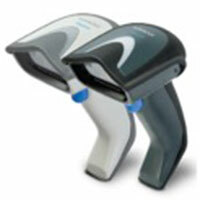 Looking for help with your barcode scanning application? 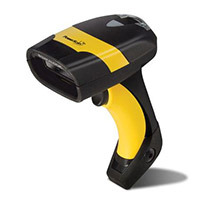 Leading Products at the Best Prices: With our volume sales, we’ve earned the highest partner levels at the leading barcode scanner manufacturers—Zebra, Honeywell, and Datalogic. That means the best products and the best possible prices for you. We Know Scanners: Our sales and support staff have the technical knowledge to help you make winning decisions. Whether your barcode scanner requirement is retail, industrial or office environment; 1D, 2D, or QR code; portable or cabled; standard or long range reading; you can rely on our expertise to recommend a scanning solution optimized for your application. After Sale Technical Support: You can depend on POSDATA’s technical resources for assistance with scanner configuration or troubleshooting potential issues. Our technical personnel receive training from the manufacturers and have access to manufacturers’ documentation. Our goal is for you to be up and running and we’re not satisfied until you are. 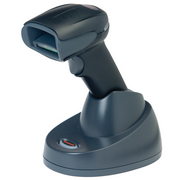 Zebra’s line of general purpose scanners is available in 1D linear and 2D array imager solutions to read virtually any barcode. 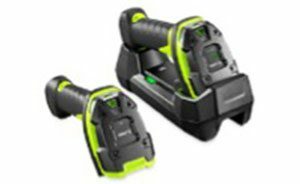 Models are available for corded and cordless Bluetooth operation. 1D/2D Standard Range. 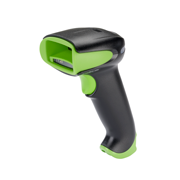 Designed to capture almost any barcode from near contact to an arm’s length away, these scanners deliver top-performance, redefining reliability, and management simplicity. The Xenon™ 1902g scanner offers the same feature as the Xenon 1900g plus the freedom of Bluetooth wireless connectivity. 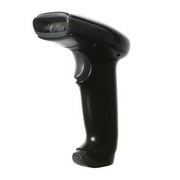 The Hyperion linear-imaging barcode scanner is ideal for scan-intensive and light industrial applications. It features an ideal balance of performance, ergonomics and best-in-class durability (as in tough-enough-to-hammer-nails durable). 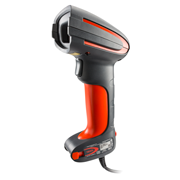 The Honeywell Xenon™ 1902g-bf area-imager scanner incorporates the latest in battery-free technology, offering the freedom of Bluetooth® low-energy wireless technology without the maintenance hassles or long recharge time associated with traditional batteries. Like all other Xenon scanners, the 1902g-bf scanner delivers aggressive barcode scanning performance—even on poor-quality or damaged barcodes. The Granit 1981i scanner offers the same feature as the Granit 1980i plus the freedom of Bluetooth wireless connectivity. The Gryphon product series represents the premium level of data collection for general purpose applications. 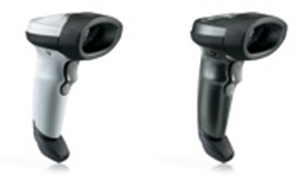 The Gryphon GD4100 readers’ ability to capture bar codes from near contact to over 1.0 meter/3.2 ft. increases productivity and improves ergonomics for users. 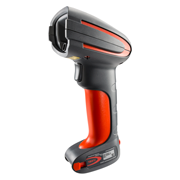 The PowerScan industrial scanner family offers an intuitive and effortless scanning experience. It combines omnidirectional reading capabilities with outstanding optical characteristics. The result is a scanner that is able to read any kind of barcode, regardless of the orientation, from contact to over 1.0 m / 3.3 ft, depending on the barcode resolution.